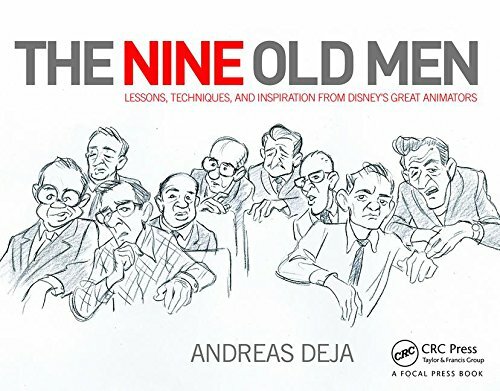 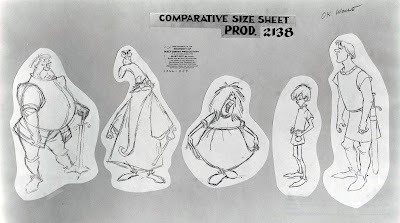 I love this size sheet made up of Milt Kahl drawings. 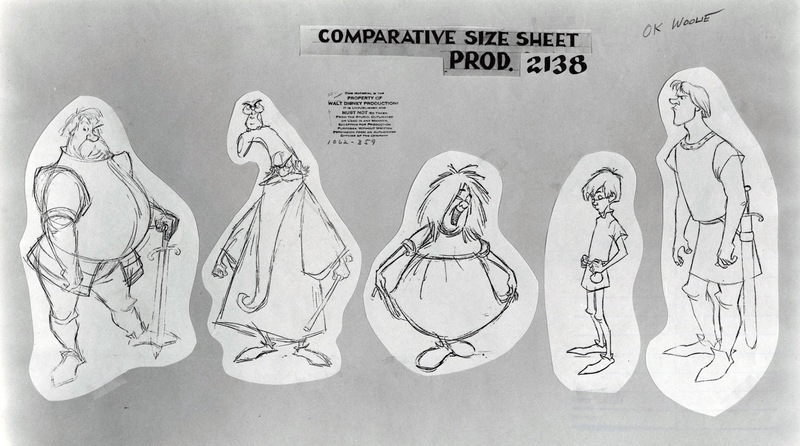 What a great variety of characters defined by unique proportions and shapes. 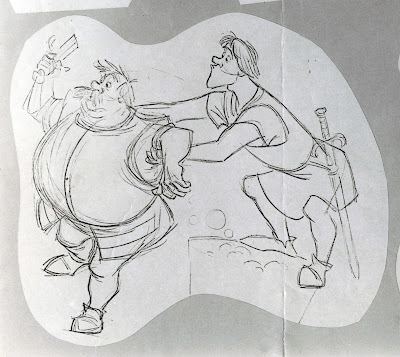 As Frank and Ollie noted in The Illusion of Life, the human characters in Sword in the Stone were animated without life action reference. (Though a few scenes with Wart were actually filmed, performed by two of director Woolie Reitherman's sons). 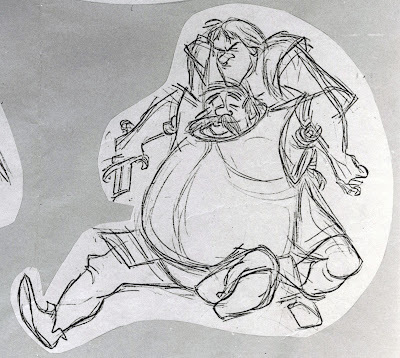 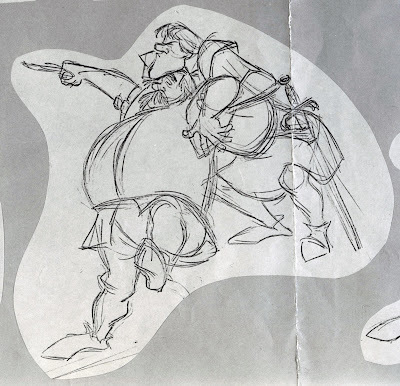 Here are a few rough animation drawings by Milt, taken off the Sir Ector model sheet. 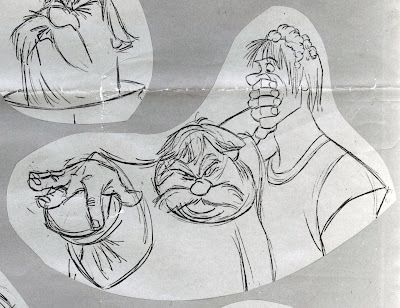 They appear in the film during the dish washing sequence. Well worth studying frame by frame. 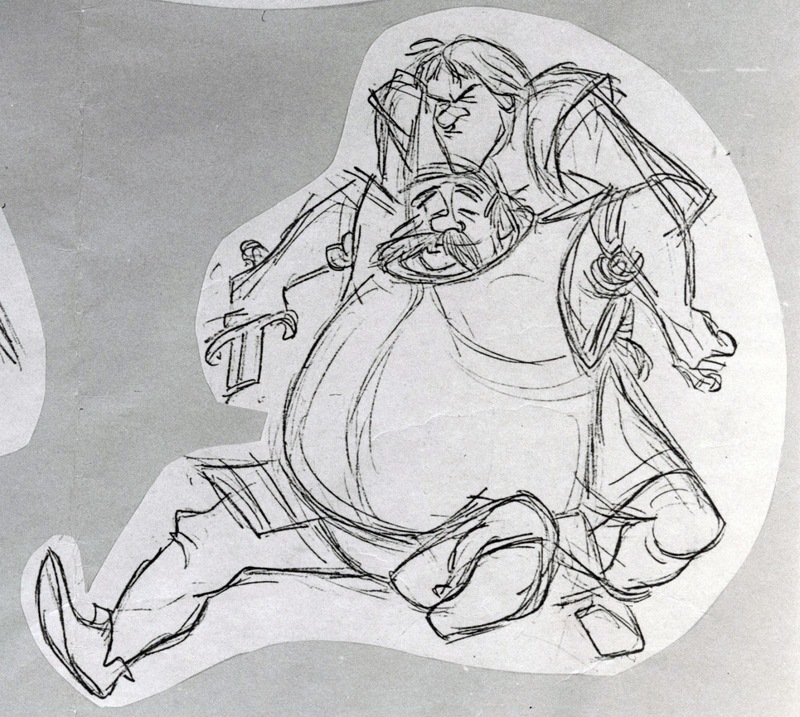 There is this great scene where Kay is trying to get his father out of the wash tub, before he ends up in it himself. 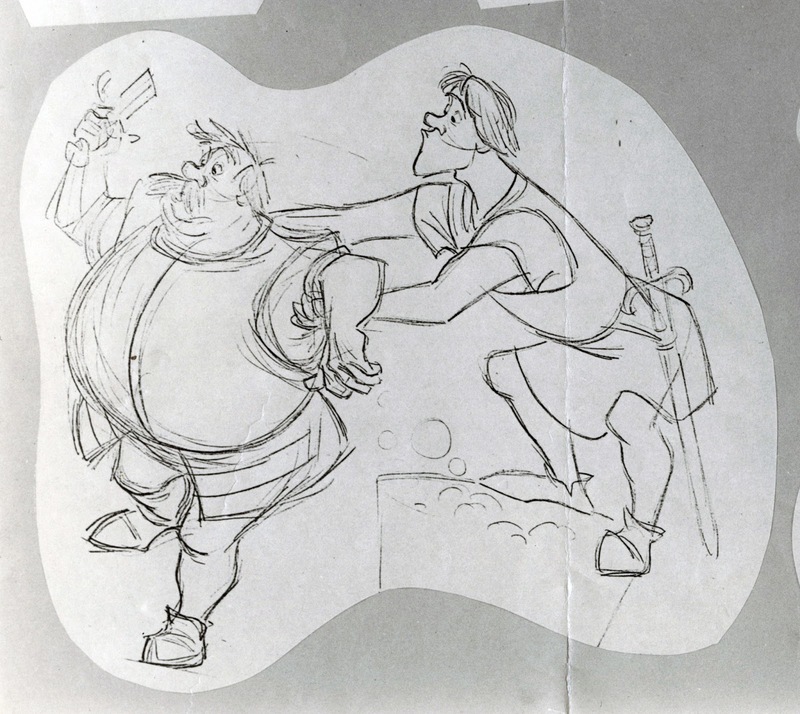 Great comedy animated with terrific weight. And the drawings themselves aren't half bad either!! 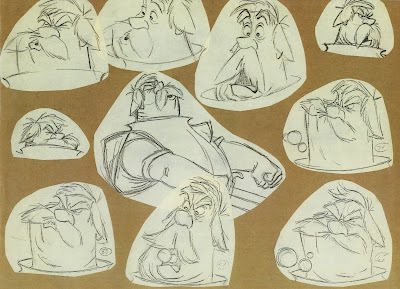 Another one of those sheets that somebody put together with Milt's rough animation drawings.